Thomas L. Thomas of Manhattan Merry Go Round and Ethel Smith from Your Hit Parade. Uncertainty about the future was common throughout the radio industry in 1951. The number of AM stations had swelled since the end of World War II from 919 to 2,323 - a whopping 143%. Meanwhile, total radio revenues had grown only 43% during the same period from $423.9 Million to $606.3 Million. Compounding the problem was the biggest competition radio had ever faced - television. In just five years since 1946, the number of television equipped homes in the United States had boomed from 14 thousand to 15 million. Network Radio didn’t have the answer. Network ratings and rates were plummeting as advertisers flocked to television. So what was the industry to do? In reality, Network Radio contained a clue to the solution for many stations - and the heir to a Nebraska brewing fortune discovered it. Twenty-seven year old Todd Storz came up with the answer at his 500 watt daytime station, KOWH in Omaha: Entire station formats based on the best selling records of the week, soon known as Top 40 Radio. Storz became an industry legend by localizing and expanding a concept that originated on Network Radio when he was only eight. Ad agency Blackett-Sample-Hummert moved the Sterling Drugs' show to NBC’s Sunday night schedule at 9:00 (ET) six months later. It remained there until 1949 as the lead-in to the first of Hummert’s musical series for Sterling, The American Album of Familiar Music at 9:30. Over its 16 seasons Manhattan Merry Go Round scored nine finishes in the annual Top 50 against tough Sunday night competition from Walter Winchell’s Jergens Journal on Blue/ABC and a variety of programs on CBS. The orchestra and chorus gave Manhattan Merry Go Round one of Network Radio's most rousing and memorable themes - a 90 second production number heard opening the show, also posted below. Manhattan Merry Go Round didn’t emphasize rankings of songs’ popularity but two similarities to Top 40 programming are noticeable. Except for the mid-way commercial break, the music never stopped. It segued from one song directly into the next. And with his ultra-straight delivery, announcer Bond is heard over each song’s instrumental ramp with a well timed introduction. Popularity rankings came into play with American Tobacco’s Your Hit Parade for Lucky Strike Cigarettes on NBC’s Saturday night schedule in April, 1935 - an hour long presentation of the country’s Top 15 songs. Another similarity between Your Hit Parade and later day Top 40 formatted stations was heavy promotion, particularly during their introductory periods. Top 40 stations used forced listening contests such as Lucky License Plate or Lucky House Number. None, however, could the top the size or scope of The Lucky Strike Sweepstakes of 1936 that helped make Your Hit Parade a Top Ten show on Wednesday and the Number One show on Saturday for two consecutive seasons while it pushed Lucky Strike sales up 50%. The Lucky Strike Sweepstakes posted on this site tells the story of this massive promotion with an audio post of a 1936 episode of Your Hit Parade that illustrates its advertising. The Hit Parade episode posted below from November 2, 1942, hosted by Martin Block, is interesting from another advertising standpoint. It promoted American Tobacco’s short-lived “Lucky Strike Green has gone to war!” campaign. The slogan is repeated incessantly throughout the show - three times before its opening theme and at least once between every song. It promoted the cigarette’s switch from green to white packaging - a marketing move calculated to be more attractive to female customers and save printing costs, but advertised as a patriotic effort to conserve the chromium derivative used in green ink. Then the U.S. War Production Board debunked the campaign, stating that there was no special wartime need for the ink. The slogan quickly disappeared but Lucky Strike’s white packaging remained. Advertising campaigns, singing stars and hit songs came and went over Your Hit Parade’s 18 years on Network Radio - including 19 seasons in the Top 50* and five in the Top 20. But like Manhattan Merry Go Round, one thing didn’t change - its foundation based on the most popular songs of the day. Did it make an impression on young Todd Storz? We’ll never know. All we do know today, approaching the 50th anniversary of his death in April, 1964, is that Storz found the keys to success for countless stations that had lost their way in the early 1950’s. 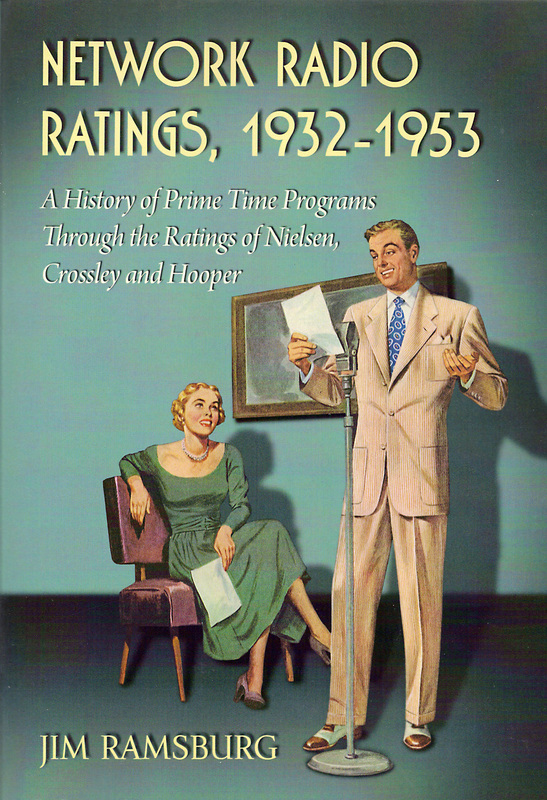 * Both the Wednesday (NBC) and Saturday (CBS) editions of Your Hit Parade of 1936-37 and 1937-38 finished in the annual Top 50.